It was just a little over 4-years ago that Porsche invited us to Detroit for something they assured us would be spectacular. When they unveiled the 918 RSR at the 2011 Detroit auto show it was fairly apparent that “spectacular” was the automotive understatement of the decade. 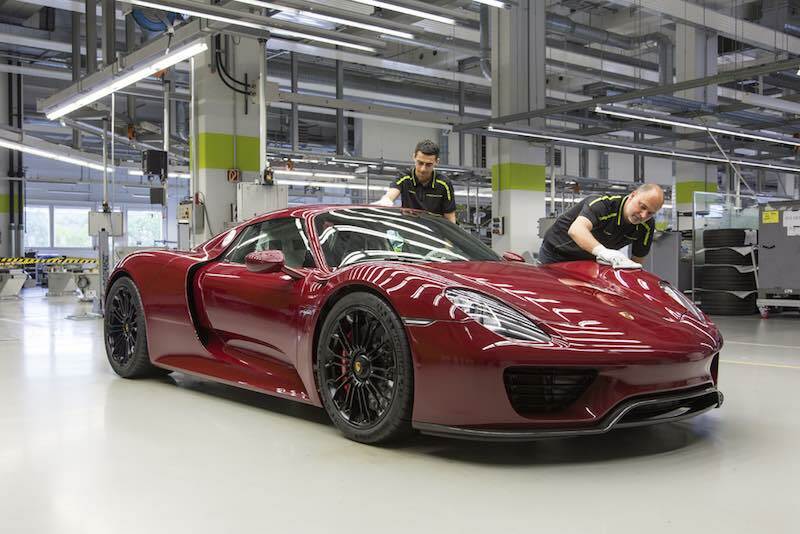 Now, after just 21 short months of production, the last Porsche 918 Spyder has rolled off the assemble line. While the 918 wasn’t officially launched until late into 2013, it received the green light for production development, from the supervisory Board of Dr. Ing. h.c. F. Porsche AG, in the summer of 2010. Since then, the 918 has shined as a technology platform for what’s to come and what will make it into everyday production (hybrid drive 911 anyone). The 918 Spyder was systematically developed to be a performance hybrid with plug-in technology and future generations of Porsche sports cars will benefit directly from innovations found within. Alongside the production of the 918, Porsche applied for patents related to many of its innovations in assembly and quality assurance. With these patents, Porsche is setting the standard for innovative capabilities far beyond the automobile itself. For instance, the entire assembly process takes place with wireless tools. The best example: battery-powered screwdrivers controlled via Bluetooth. They perform their work nearly silently, increase flexibility for workers at the workplace and ensure – via a database link – that specified torques are reliably performed and documented. In addition, a new type of scissors lift platform simplified installation of the approximately 300 pound high-voltage battery (something we should see used again in the near future). Not likely. Instead, it’s just the beginning. 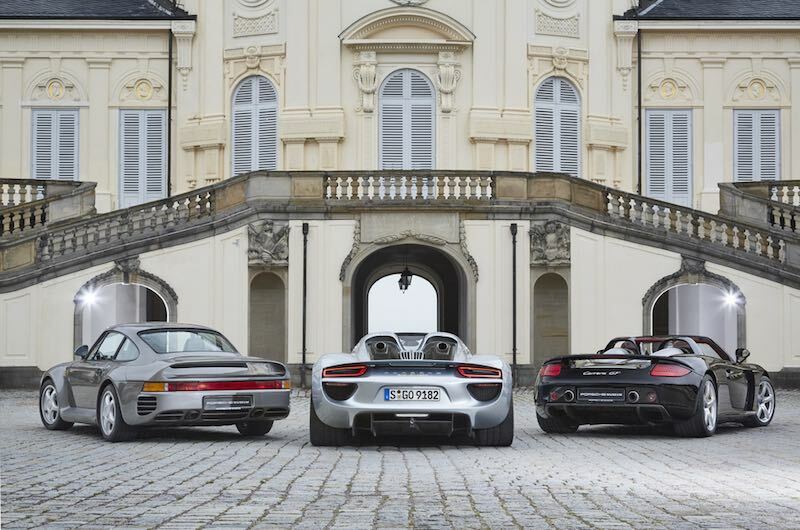 More so than any of its predecessors, the 918 Spyder provides a strong push for the advanced development of technologies for the Porsche of the future. The key technology is a drive concept which combines a high-performance combustion engine with two electric motors; its unique and ingenious operating strategy is one of the unique aspects of the 918 Spyder. It considers the various requirements ranging from an efficiency-oriented driving profile through to absolute maximum performance. In doing so, the 918 provides important know-how for future production developments. To maximize the efficiency and performance of the hybrid drivetrain, depending on the individual driving situation, Porsche engineered a total of five different operating modes. Like what you would find in a Porsche race car, each operating mode is activated by a “map switch” on the steering wheel. This know-how will also be applied to future hybrid drives. In addition to the advanced and unique hybrid drive,the 918 technology platform blazed new trails in other areas like the all-carbon body, fully variable aerodynamics and a rear axle steering system. As most of you know, adaptive aerodynamics and rear axle steering have already made their way into production Porsches (911 Turbo models, the 911 GT3 and 911 GT3 RS). 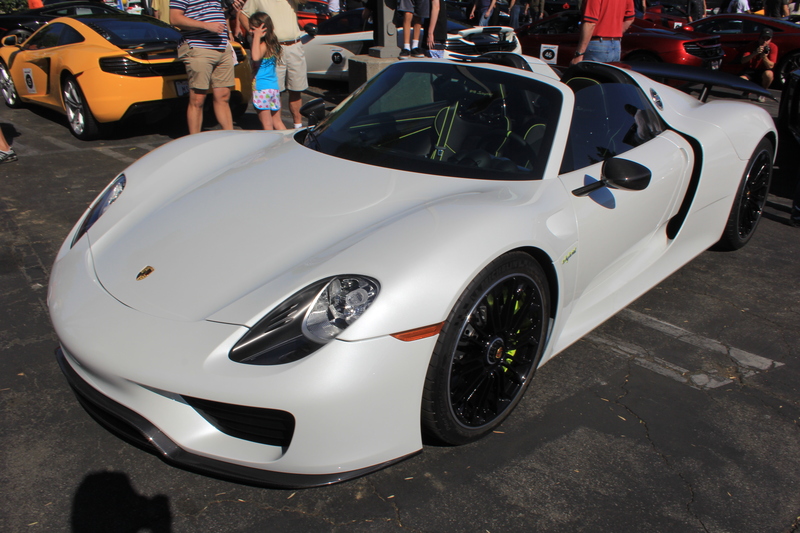 This entry was posted in Events, Industry and tagged mymotorwary, Porsche, Porsche918, sportscars. Bookmark the permalink.